Seafood Pappardelle . . Scallops, shrimp and more. 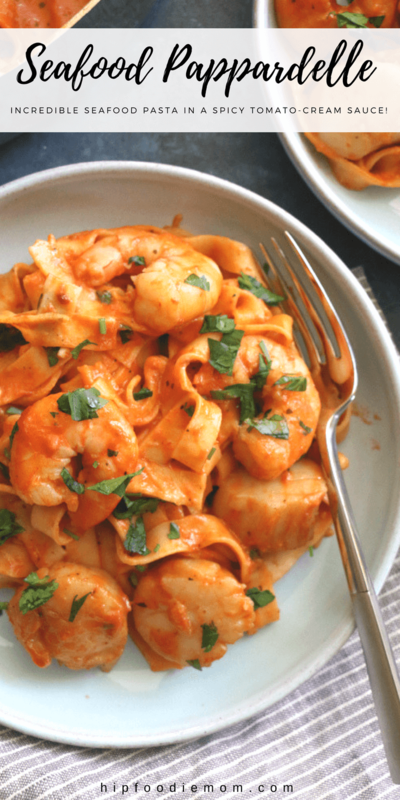 Incredible seafood pasta in a spicy tomato-cream sauce. Easy to make and delicious, you don’t want to pass this one up! Last weekend, I had the great honor of attending a local Food and Wine event right here in Kohler, WI (only 2 hours from where I live). The entire experience was amazing. We had back-to-back cooking demonstrations, learned some tips and techniques and got to do a few beer+food tastings and wine+food tastings. And we got to see some pretty phenomenal chefs in action and meet them. I was pretty much on cloud nine the entire weekend. GZ floated on stage to “Fly Me to the Moon“, which is my absolute favorite song from Frank Sinatra. Oh, and meeting this guy made my year. You can tell because my smile is so big. I couldn’t contain my happiness and joy. You’d think all of this would be enough but I also left Kohler with four brand new cookbooks, two I purchased on my own and two were gifted to us. So, needless to say, I went home extremely fulfilled and happy. Cookbooks now take permanent real estate on the night stand table next to my bed and on a brand new bookshelf we recently got because my obsession continues to grow. Cookbooks continue to come out and need to be purchased and appreciated. I feel like cooking has become so popular (with TV shows, talk shows, magazines, food bloggers and cookbooks) and now staying in and cooking has become cool. I feel like more people are entertaining at home and just cooking and wanting to learn more and get better. Over the past two years, I’ve read a ton of cookbooks, cooked from most of them and then put them away because another new one has arrived. But then Easy Gourmet fell into my hands. I’ve been cooking from this cookbook for the last 3 months and I don’t see any signs of stopping, unless I finish cooking every single recipe in here. 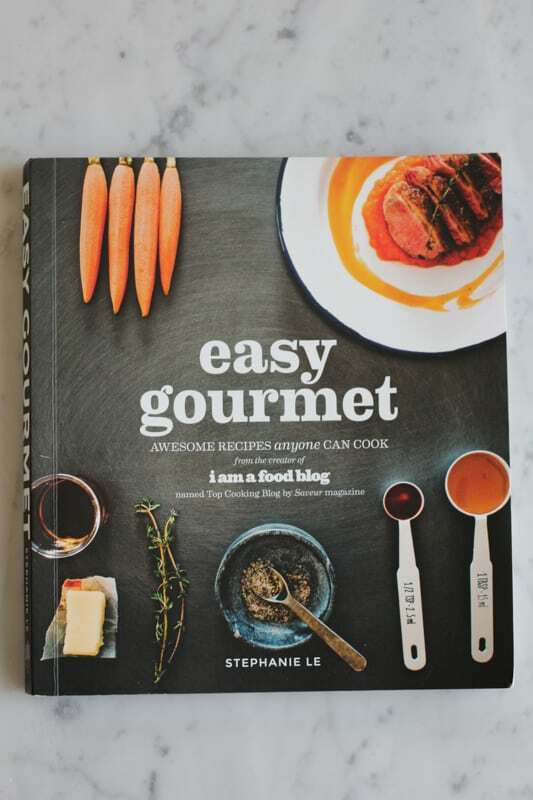 If you haven’t heard of Easy Gourmet, this beautiful cookbook was written and photographed by Stephanie Le, author of the award-winning blog, I Am a Food Blog. I’m not going to write much here because I’ve already written a review for The Kitchn. So, head on over and enjoy. If you are looking for great, delicious straightforward recipes and can only buy one cookbook this year, buy Easy Gourmet. You won’t be disappointed. Because this cookbook is so awesome, I’m sharing (with permission from Stephanie and her publisher) one of my favorite seafood pasta recipes from the book, her amazingly simple and delicious Seafood Pappardelle AND giving one lucky reader the chance to win this gem of a cookbook. Simply answer the question underneath the recipe card down in the comments section below. This giveaway will be open for one week. Looking for more simple and delicious pasta ideas? Try my One Pot Pasta with Spinach and Basil, or my Whole Grain Pasta with White Beans and Tomatoes! 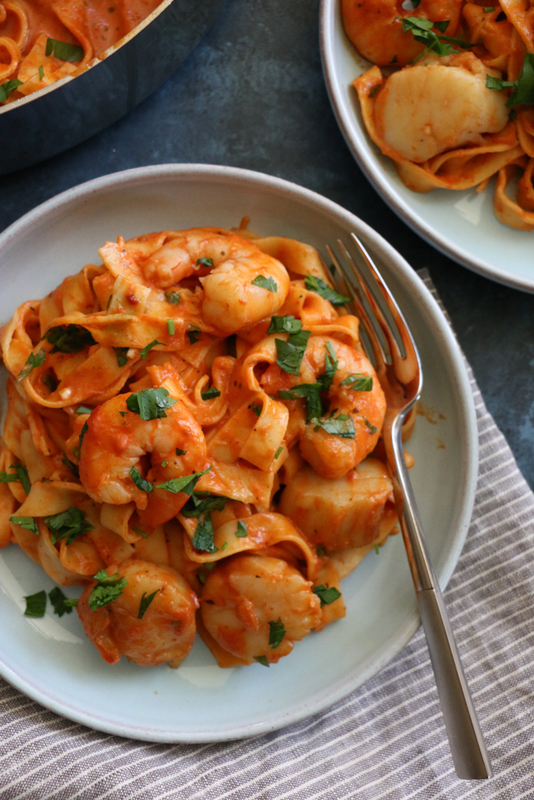 Scallops, shrimp and pasta in a spicy tomato-cream sauce. (In the book, there is actually a recipe for Stephanie's basic tomato sauce but you can use your favorite store bought tomato sauce for this). 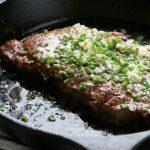 In a large skillet, heat up the oil and butter over medium to medium-high heat. Sear the scallops and shrimp, about 1 minute per side. Remove from the pan and set aside. You will cook the seafood longer later. Turn the heat to medium and add the garlic and pepper flakes. Cook until soft, but not brown. Add in the tomato sauce and heavy cream. Return the scallops and shrimp to the pan and simmer gently for about 7 to 8 minutes. Be careful not to overcook the shrimp. While the sauce is simmering, using a separate pot, cook the pappardelle pasta according to the package instructions. Drain and toss the pasta with the sauce and seafood. Enjoy immediately with a sprinkling of flat-leaf parsley. Seafood Pappardelle recipe published here with permission. From Easy Gourmet, page 58. This giveaway is now closed and over. Congrats to the winner: Rebecca Q. To enter the giveaway, click here to read my review and simply tell me your favorite thing about the book, or anything from the review that you learned about the book that makes you want to buy Easy Gourmet or tell your friends about it. You must leave your answer in the comments section below in order to be valid. GIVEAWAY OPEN TO RESIDENTS WITHIN THE UNITED STATES AND CANADA. Giveaway ends on Monday, November 3rd at 12 midnight EST. There are no extra entries for this giveaway but consider it good giveaway karma if you share this post or help get the word out about this fabulous cookbook! Thank you and Good luck!! What I learned from your review about An Easy Gourmet is that there is a wide variety of recipes. I especially want to try the Scallop Fried Rice recipe. Sounds like a great cookbook, for sure. Wow, that review just made my mouth water a bit. Loove that fact that she used comforting classics, and left out the “dainty” stuff. That’s what I look for in a good cookbook. Deep fried bacon Calamari and maple glazed duck sounds awesome! I am drooling over the chicken pot pie bun. this would be the first thing I would make. like I said,droolworthy! It looks like its a fabulous cookbook, with a mix of comfort foods with some things I’ve never tried before. Love how straightforward and easy this special pasta dish is – I’d definitely serve this for company! I’m right there with ‘ya about cookbooks—I own about 500 and love ALL of them! Easy Gourmet has been on my must-read list, so this giveaway is perfect timing! And this pasta? WANT. Dying over how awesome that sauce looks! Oh the recipes sound so delicious and not hard to make, I would try the Chicken Pot Pie Bun the first thing!!! i would love to have this cookbook because these look like recipes that I would enjoy cooking. And that my husband would enjoy eating! I especially want to try the Sweet and Sour Chicken. And, I think we’ll be having Seafood Pappardelle tonight. No trip to the grocery store required! Thank you. I have been waiting for this recipe and the review since you posted this on facebook and instagram. It looks so amazing! Going to enter the giveaway!! I love that you consider the book to be straightforward and enjoyable. I’m slowly but surely getting my fiance to join me and help out with cooking dinner and easy and fun is exactly what he needs to stay involved. This is hands down my favorite book of the season! SO so beautiful and her recipes are just simple and delicious. Thanks for sharing it!! Everyone needs a copy. I love the photography! What a beautiful book to keep out on a coffee table to inspire some cooking. I learned that the cookies were definitely a fave of yours, and I can’t wait to try that chicken and waffles dish! The chicken pot pie bun has me drooling! So glad that the recipes tried out worked well for you, it’s a good sign. I’ve always loved her blog and her photography style. Can’t wait to get my hands on a book! I love the photography! It’s the perfect book to leave out for some coffee table inspiration. Alice, I’m so happy you’re going to all of these incredible events. Damn, that Kohler one looked like a heckuva good time! Stephanie is just as awesome as you’d expect her to be from her blog. Her photography skills are ah-may-zing and she’s sweet, funny and humble. Come back to Vancouver and we’ll have a meet-up! Nancy, YES!!! I want to!! Hi Melinda! It can be either but I would say using a jarred spaghetti sauce (from a glass jar) will yield a better taste. Sometimes tomato sauce from a can has a weird taste. Hope that helps! Just discovered Stephanie and her blog and would adore owning her book as well. I am a relatively new cook and these recipes look do-able as well a little impressive and delicious! Thanks for your detailed review! I totally love seeing your Kohler experience, what a fun treat on your birthday! Stephanie is super creative and her pictures are amazing and droolworthy! I’m gonna try her porchetta and I’m sure it will be a hit for Christmas. I love that you mentioned the recipes in Easy Gourmet are easy and delicious. It’s perfect for me since I’m still a newbie to the kitchen! Just learning that the book is by Stephanie Le makes me want it… She has amazing photos to go with her amazing food. Love that this book contains REAL food that an actual person would love to sit down and eat. Not just pretty food for a photography shoot. Totally adding to my Christmas list! 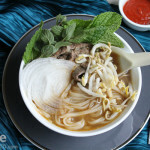 And seriously, those photos are making me hungry and I just ate lunch! Since I met you at the Kohler Food Festival and am now following your Blog, I believe that any cookbook you are endorsing and have such great comments about has got to be a winner. I love the photography of the book and can’t wait to cook my way thru this fabulous book as well! I absolutely love the idea of a straightforward, simple recipe. I love cooking, it’s my time to de-stress and just enjoy the process. That said, I also have a job that requires travel and two kids under the age of 3…simple is so key. I want to expose my kids to the home cooking I got growing up, but also bring new twists and flavors to the table. In your review, the sampling of recipes you tested all sounded tasty and approachable. I’m putting this on my Christmas list this year because I’ve got to have it! I love her blog, and follow her cooking for a long time now.. That cookbook sounds like a must-have on every amateur chef’s cookbook shelf, not to mention bookshelves of us, food bloggers 😉 What amazes me is the compilation of all those flavors from different cuisines, and with such a range of recipes I am sure it keeps you interested from first to last page. Would love to get it! I really liked that you mentioned most of the recipes do not require too many ingredients. I’ve been trying a less is more approach after some hair pulling dinner parties. Plus – those almond cookies look amazing! Looks like a fantastic cookbook! I would buy this book just knowing that she likes her chicken and waffles to have boneless chicken. So smart! That is someone who I’d want to share a meal with or make her recipes. Plus, your photos of her recipes look amazing! Looking forward to buying this book, even if I don’t win. Simple to follow recipes, but elevated tastes as evidenced by the beautiful and palate tempting photography. I have to say the Fried Oysters have me thinking of days spent in New Orleans and that would be, my hard to pick, choice to try first! I appreciate easy and straightforward recipes! Stephanie’s photography is rich and beautiful and I know this book would be a great and well-used addition to my ever-growing cookbook collection! I’ve been following her blog for awhile now and I absolutely love her photography throughout the blog. Based on the shots of the book, it looks like its full of fabulous photos. Koehler looked like it was absolutely to die for! I am such a seafood lover, so this pasta would be on my dream dinner list. Those double almond cookies bowLed me over! Would love to see her takes on the classics. Love that she cooked through momofuku! Thx for the review! 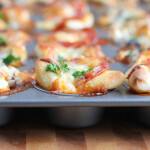 I love Stephanie’s blog and I love that she has finally come out with a cookbook! All her recipes look delicious and impressive but are broken down into such easy steps! I loved when you mentioned her unique desserts: London Fog Tea Cake and Figs & Cheese Cheesecake. I am a huge fan of exotic treats. I loved following your pics from the Kohler event! What an amazing opportunity! Now I REALLY want this pappardelle for dinner! I started cooking for myself regularly about a year ago, and it has been amazing, but I am definitely feeling a bit burned out. I am in need of inspiration, and this cookbook seems like the perfect thing. 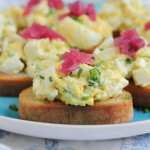 I need ideas that don’t require a whole afternoon in the kitchen but that are fresh, creative, and delicious. I CANNOT WAIT to tr the London Fog Tea cake and Figs and Cheese Cheesecake… and that chicken pot pie bun looks like it would be out of this world. I love that it had big flavors with simple ingredients. Yay, so glad you had a great time at the Kohler Event! I am obsessed with this seafood pasta! It looks so amazing! Love that it’s easy and straightforard too! Love the pics and want to try out different dishes. 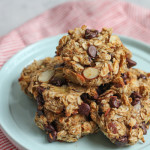 The double almond cookies look delicious, and I like the idea of comfort food with a twist. 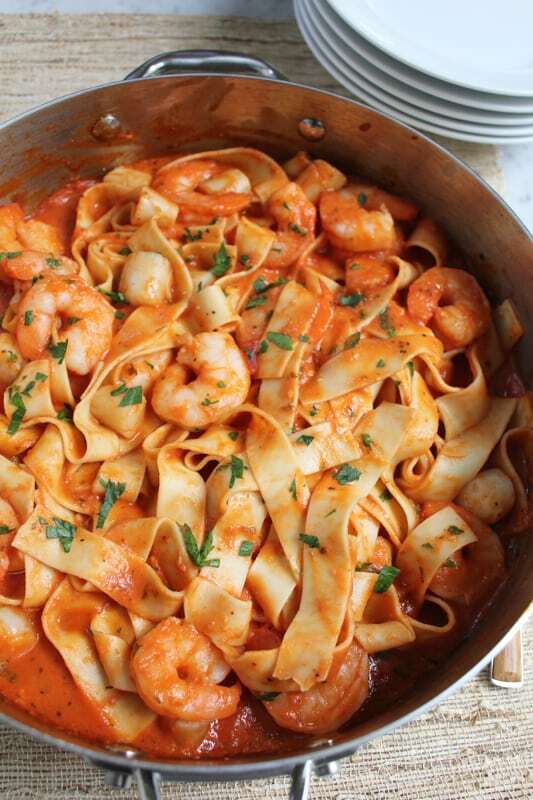 Now that shrimp pasta looks really good! My husband, who is a very good cook sent me the link to this page and asked me to make this recipe for him. I love how simple and straightforward Stephanie is. I think that is one of the things that most attract me to her cookbook along with her delicious recipes as I am a relative beginner in the kitchen. I absolutely love pasta. This seems easy enough to make! Simple and extraordinary!! I can totally dig it! I recently became disabled so now my life is about cooking. My husbands loves the new recipes I try. I’m trying the Seafood Pappardelle for our supper tonight! love all the recipes and thanks for sharing. I think one thing amazing about this cook book is how compatible cooking can be of anyone from any sort of skill set! 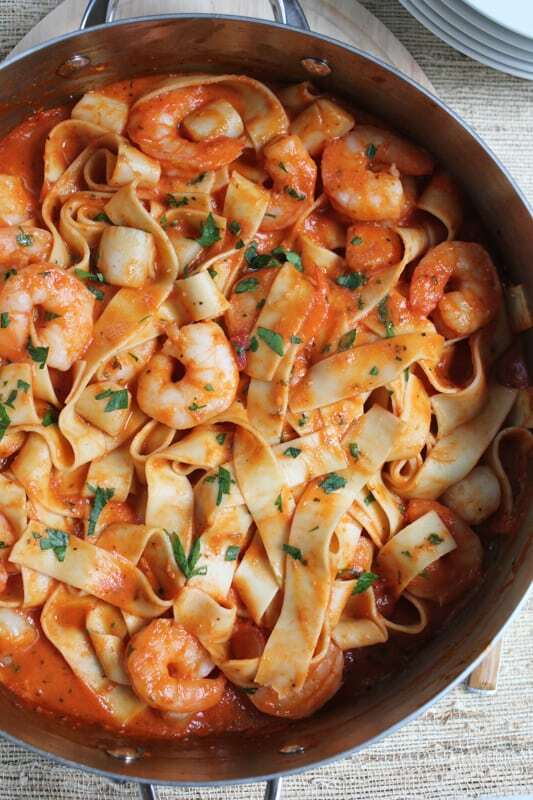 I’m really excited to try this seafood papperdelle recipe! 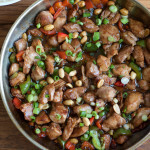 The photo of the Sweet & Spicy Chicken makes me want to get the book just for that one recipe alone! And I love your take on it that no gimmicks are necessary; it sounds like a cookbook I could actually cook from. Thanks! I’ve definitely heard many praises about Stephanie’s book, and, considering that I have a soft spot for seafood and Asian-inspired cooking, I would love to try out her recipes! All of the creative and healthy dishes that she features seem practical and involve common ingredients which I absolutely appreciate. I love how all of Stephanie’s recipes are always so no-fuss and have the kind of simple ingredients one could easily reach for without having to visit specialty stores to get the same taste that she achieves. I’m amazed at the wide variety of recipes to choose from that are all so accessible to someone with a simple kitchen and not much experience! My partner and I just have so much fun trying out her new recipes. Especially the seafood!!! I like that most of the recipes don’t require too many ingredients and seem relatively simple to make. I like the fact that most of Stephanie’s recipes are fairly simple comfort food with unpretentious ingredients. I’ve already made several of her recipes from her blog and all were a hit with my husband and I. From Stephanie’s cookbook I’d love to try the ‘sweet and spicy chicken’ ! That chicken pot pie bun looks amazing – want to try!! Chicken pot pie bun. Do you need to say more? As usual all of the photography looks amazing! But those almond cookies look like a must have. The pasta & cookbook look wonderful! LOVE Food & Wine events ~ glad to hear it was so fun! I learned that despite your kids’ initial aversion to the smell of the fish sauce (I can’t blame them!) they still devoured the Sweet & Spicy Chicken. I’m impressed they tried it anyway! Sometimes kids can be silly about stuff like that. I loved how you said this book would make you want to drop everything and run to the grocery store to cook her recipes. I love to cook, but have been in a rut lately and don’t know what to cook. The recipes you shared look delicious, especially the Chicken Pot Pie Bun. I don’t like messing with pie dough and this looks like the solution for me (a bun instead of a crust). Hi John!! Hooray!!!!! so glad to hear this!! Hi Mary! Let me know how you like it! thank you for stopping by! 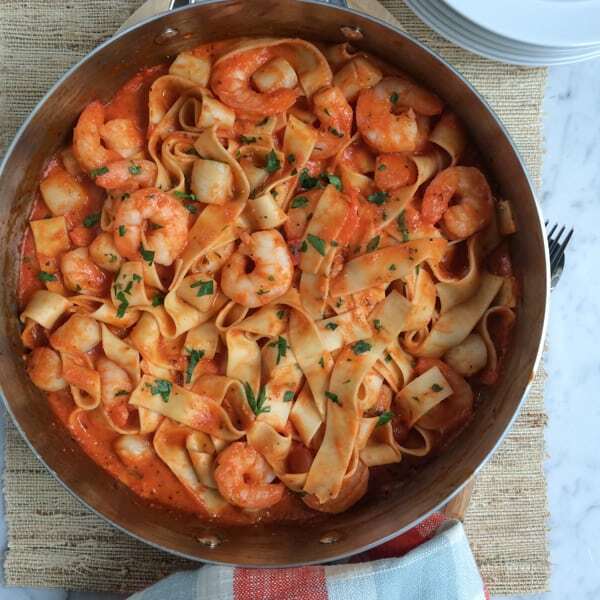 Gorgeous photos and amazing seafood pappardelle that looks yummy! I found your post from Pinterest! Thanks for sharing, Alice! These seafood pappardelle is so Instagrammable and adorable! As you know I made it a short while ago and it was lovely! Thx for sharing!